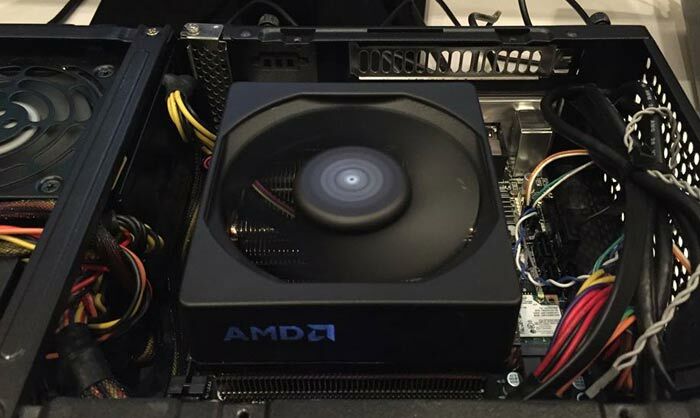 AMD has revealed a new stock cooler at CES 2016. Making its debut in Las Vegas yesterday was the AMD Wraith Stock CPU Cooler, said to feature "a near-silent noise profile and a lot of style". The guys at PCWorld had a bit of time with the new AMD stock cooler and agreed that it was "far quieter than its predecessor." The Wraith is designed with a larger fan which can rotate at a lower speed with equal cooling effect. It is noted that the fan never switches off, but that has the bonus of eliminating fan de/activation noises. As a stock cooler, the Wraith is going to be bundled with some upcoming AMD processors but we haven't been told which processors or processor range might get this cooler bundled in their retail boxes. The Wraith is rated for 125W dissipation and so it will only be bundled on suitable lower wattage processors. 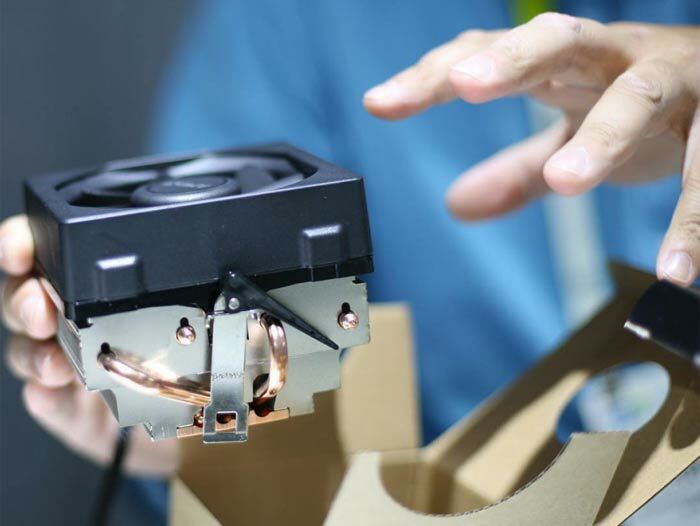 AMD hasn't provided much technical info about the new stock cooler, there is no official product page at the time of writing for example, however the firm has provided an enlightening comparison video, embedded above. Running one after another in the AMD Anechoic Chamber, you can hear the stark difference between the old 'Standard AMD Thermal Solution' and new Wraith, running at full pelt. You will also notice that the new cooler is significantly larger and - last but not least - features a fetching LED backlit AMD logo. In other AMD news, the firm has just released the Radeon Crimson 16.1 Hotfix for Windows (32-bit, and 64-bit). This update provides a rather long list of resolved issues in games titles such as Fallout 4, Just Cause 3, Call of Duty: Black Ops 3, and with the AMD Gaming Evolved overlay. Many other wrinkles have been ironed out, but a pretty long list of issues remain. Please check through the release notes here for the full breakdown. Ohh no, ugly coolers… the horror. It's stupid to add even a few £ to the price of the CPU retail package just for the incredibly tiny % of people with windowed cases who then actually use the stock cooler. A quieter cooler is maybe worth it or a smaller one with better performance in SFF cases probably worth it as that's a large portion of the market now. About time they fixed that, has really been annoying me!! The Wraith is rated for 125W dissipation and so it will only be bundled on suitable lower wattage processors. Outside of the FX-9000 series nonsense, when was the last time AMD released a desktop CPU with a TDP >125W?